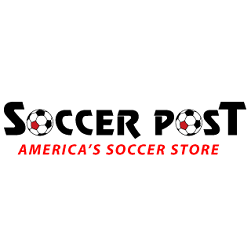 Severna Park Soccer is proud to announce an exciting partnership with Soccer Post in Severna Park and Annapolis... Soccer Post will be our exclusive retail partner through the 2017/2018 season! All Select, Club, and Clinic players will receive 15% off any time they make a purchase! All coaches will receive a 25% discount. Just mention your membership with the Green Hornets to claim the discount. In fact, mention Green Hornets whenever you make a purchase (even when they offer special discounts) as the Soccer Post donates a percentage of all SPGH sales to the soccer program. A major change with this deal is that all of our uniform purchases will go through Soccer Post. Big news on that coming soon!! Thanks and be sure to support our new partner. To kick off the new partnership, Severna Park Soccer and the Severna Park Soccer Post held a drawing for any Green Hornets soccer player that came into the store. Winners walked away with an Arsenal jersey, a Barcelona jersey, and a $100 Soccer Post gift card!!! !